And Nothing Else Matters - Charlton Athletic F C: Hoof ! Colin..........it's only a matter of time again surely. 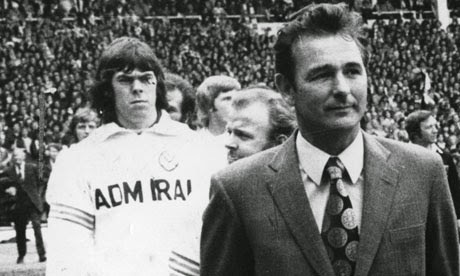 the great Brian seen here with David Harvey, the former Planet of the Apes star. Following a draw against T'Wednesday on Saturday we now face another team from T'Yorkshire in the form of Leeds United. A draw was about right at the weekend although I felt we had the better chances. The appearance of Igor and Gudmundsson showed how much we missed them and underlined how few options we have. We have to hope they stay fit. The club has today recruited Francis Coquelin from Arsenal. The Frenchman has joined on the briefest of loans as he is with us, initially at least, only until 1st December. He has gone straight into tomorrow's squad. 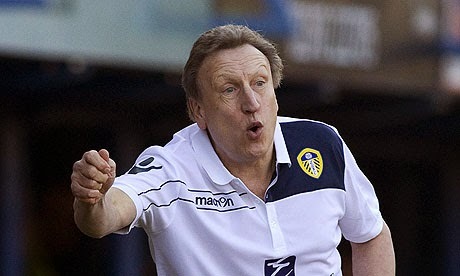 Judging by the goals conceded by Leeds at the weekend it seems our best approach is to hoof the ball downfield. Forget about playing a nice passing game, a pump up the pitch seems to spread panic in the heart of the United defence and confusion reigns. Last time out at Leeds we managed to come away with a 1-0 win courtesy of a Reza goal and a Hamer penalty save. Remarkably only 5 of the 18 man squad remain from that night. A similar result would be most welcome although a draw is probably the best we can hope for. I trust we won't be wearing the strip d'orange tomorrow. That needs to be consigned to the bin. Good luck to those going oop north to support the lads. Remember, if you're a bit late for the game, be careful where you run..........you never know who you might bump into and may end up missing the game. 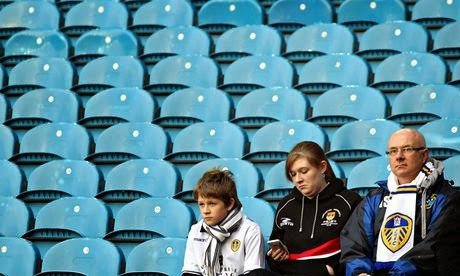 Laugh at Leeds while you can :) with all 5 of your followers I take it most Charlton fans are not as dim witted as you. Laugh at Leeds ? Heaven forbid ! No, sadly all 5 of us are as dim-witted as each other. Why wouldn't we be ? Otherwise we wouldn't follow a little club like Charlton. Smug git,get a life,since when have Charlton Affletic been the home of football.You might just have to rewrite this piece tomorrow,because we Oooop North have a habit of biting back..So enjoy your pie and mash san,bring your 5 x supporters and we'll make you very welcome t'Elland Road. Everyone is laughing at Leeds. Absolute comedy car crash of a club...! Don't remember saying that Charlton is the home of football. I also don't recall saying we'd win mainly because I don't think we will so I'm sure that I won't need to rewrite anything. You didn't have to read this nonsense but thanks for dropping by. I believe you've fallen against the unwritten rule of football blogging Phil. Any mention of Leeds United has to be the most over the top puff piece proclaiming them the world leaders of everything football related. If you don't do this you are obviously far too stupid to realise their role in the world. Most football fans glory in their ability to laugh at themselves. Good job everyone else does it for them eh? Are we really taking 5 upto Leeds? Leaving London, on a cold Tuesday, to head to a place with few redeaming features, only to come back again in the early hours. I'm surprised we've found 5 willing to make the journey.